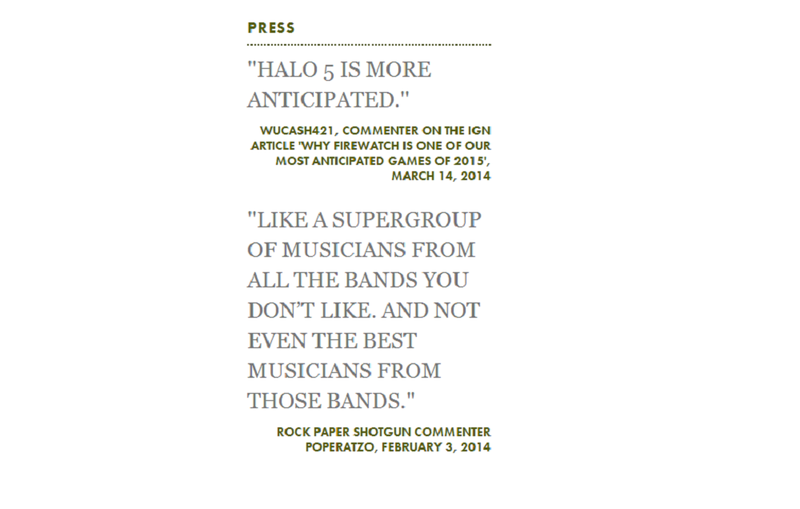 Campo Santo, maker of the upcoming game Firewatch (and employer of everyone's favorite poster artist, Olly Moss), features negative comments in the press section of its blog. Nothing from Kotaku commenters, though. Poster by Olly Moss, Jay Shaw, and Mondo for The Last of Us.